This map covers the western section from St Bees on the Irish Sea to Keld in Swaledale. 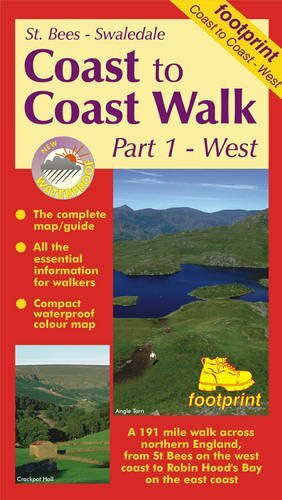 This Footprint map is divided into eight sections, each displayed on a seperate panel, and folds easily to show a particular part of the walk. Printed on waterproof paper, this map will remain legible even when wet and can easily be dried and reused. The plastic slip sleeve affords even further protection from wear and tear.